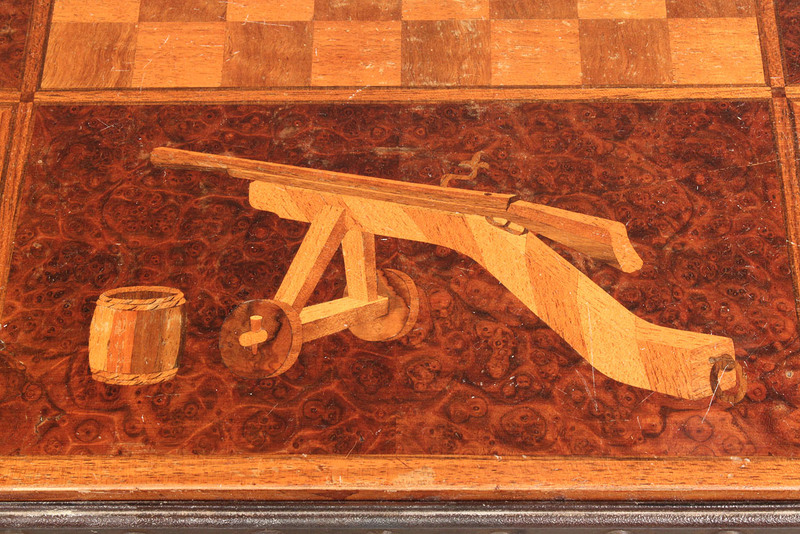 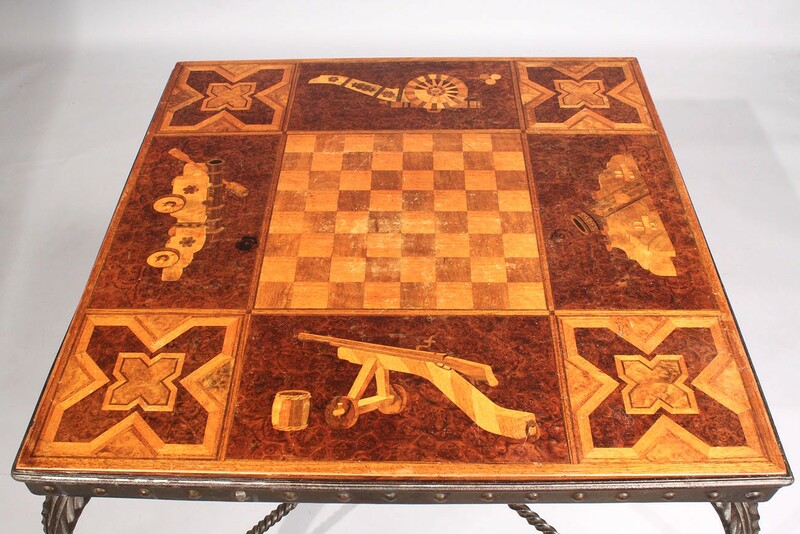 Continental inlaid marquetry burlwood game table with central checkerboard inlay, unusual cannon/artillery inlay and geometric inlay. 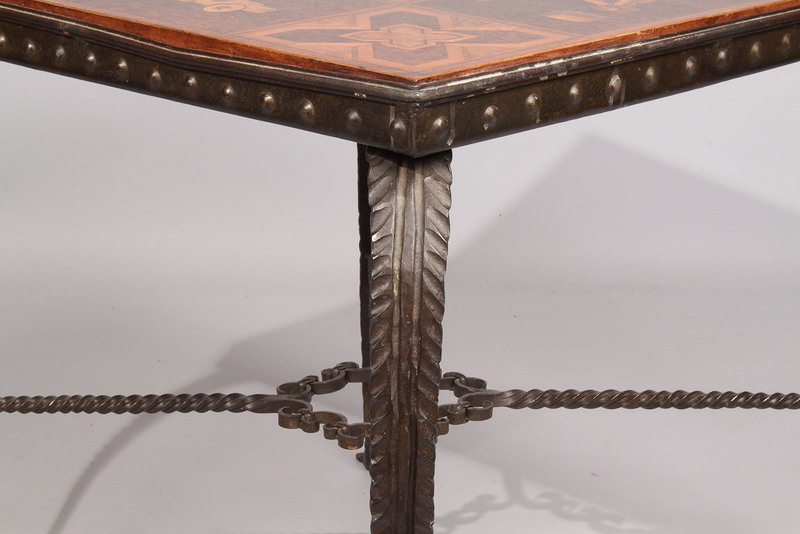 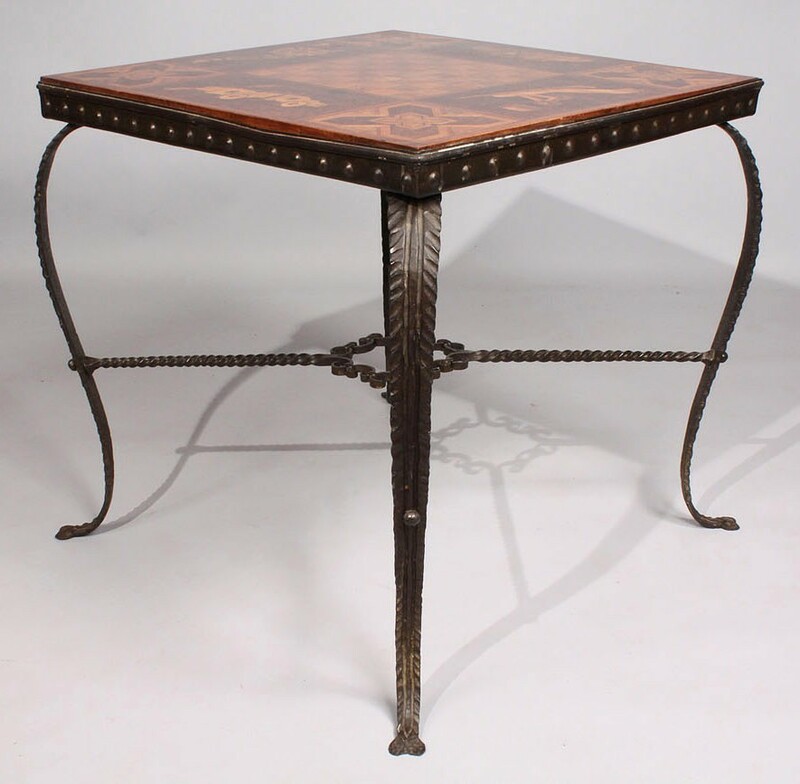 Top is banded with iron and rests on decorative iron base with twisted x-stretcher. 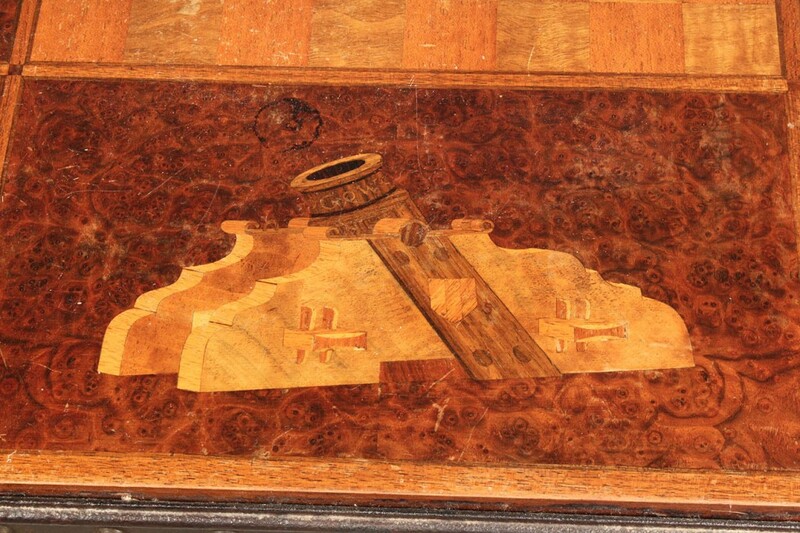 Condition – minor wear and fading to top, iron apron slightly bent on one side. 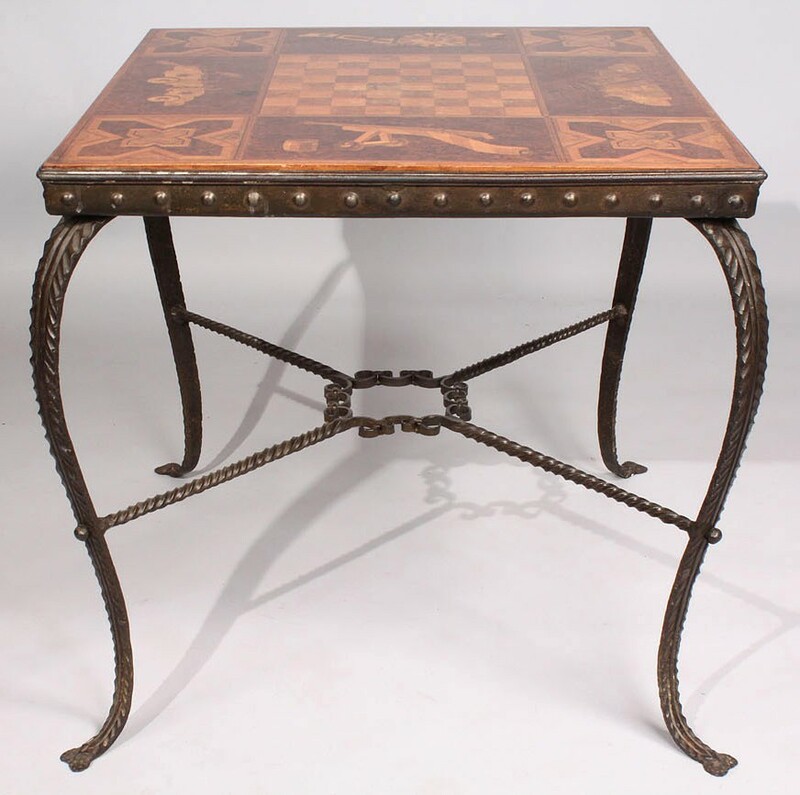 26 5/8" H x 27" W x 26 3/4" D. Late 19th century/Early 20th century. 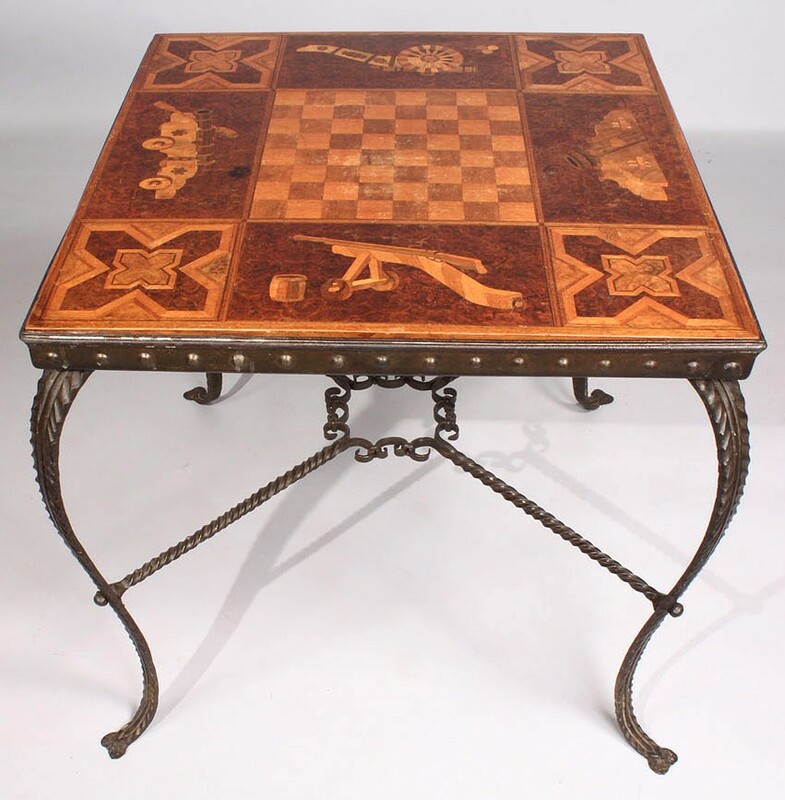 Probably European.